Parents, don’t let Halloween give you a scare. While Halloween is a magical night of costumes and candy for kids, parents know that Halloween poses some serious risks to their little ones. This year, don’t let your fears get the best of you. Learn how to keep your little trick-or-treaters safe with these easy Halloween safety tips. -Make sure your child chooses an age-appropriate costume. – Choose light-colored costumes to make sure your child is more visible to drivers. – Only consider costumes made of flame-resistant materials. – Avoid costumes that require face masks. These could obstruct your child’s vision. – Make sure your child’s costume fits well. If their costume is too long or ill fitting, then they could have trouble moving around safely. – Make sure your child doesn’t go out alone. Accompany younger children and make sure older trick-or-treaters are in the company of friends. – Before your child goes out, map out their trick-or-treating route. This way you can make sure your child stays in safe and familiar neighborhoods. – Advise your child against taking shortcuts through parks, alleys, or backyards. – Warn your child not to dart into traffic and make sure they know to only cross streets at crosswalks. – Review “stranger danger” with your child. Remind them that they should never enter someone’s home or accept a ride without getting your approval first. – Ask your child not to eat any candy before they get home. – When they do return, go through their candy and discard any unwrapped, unlabeled, or homemade treats. – Try to limit your child’s sugar intake by making sure they eat an actual meal before going trick-or-treating. You could also consider rationing their candy to avoid unnecessary stomachaches. 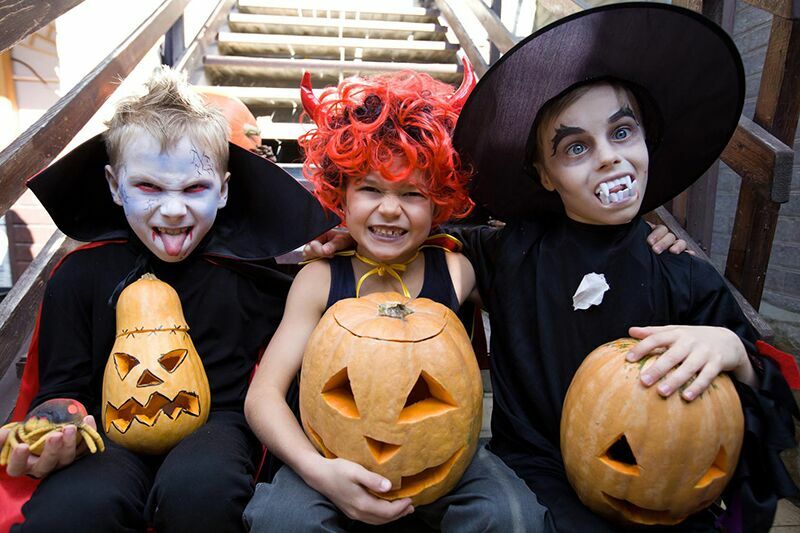 Follow these simple safety tips to make sure you kid has an awesome and safe Halloween. Remember, another way to make sure your little ones stay safe is to have the right coverage. To get the best insurance policy for your needs, trust the team at Udell Family Insurance. Located in Westlake Village, California, contact us to get covered today.